So as it my annual tradition, I spent this past weekend sick. Because it wouldn’t be Spring and beautiful weather if I were not laying on my couch, miserable and hoping Steph wasn’t about to smother me with a pillow. Or maybe I was hoping she would. My thinking isn’t entirely clear on that. In either case, what started as a simple sore throat blew up into congestion and aching body followed by ‘Hey, I think I’m getting better!’ and then being unable to keep any food in my body and another day of misery on the couch. I wish I could say that I did a lot of reading but that didn’t happen. Instead, I watched a bunch of YouTube videos, slept (or tried to sleep), and worked on some stuff for the D&D campaign I’m planning. 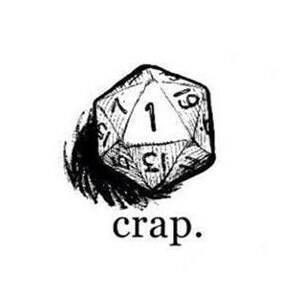 Oh right – I’m getting back into D&D. D&D was an obsession of my youth – maybe a little too much so but I have very fond memories of it. From the Basic rules all the way up to 3.5 edition, I played a lot with my friends. After college, I drifted away from it due to the way things go when your friends scatter to the winds. There were a few occasions of online but the tools at the time were clunky and just didn’t work out that great. Fast forward to the modern era and the tools exist that make playing online a lot nicer. So I started playing a 5th edition campaign and have been having fun enough to start work on my own. No idea how it will end but hey, I’m having fun so there’s that.